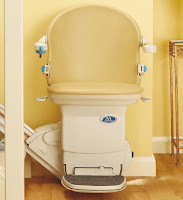 Castle Comfort Stairlifts offers top brand stairlifts, keen prices and fast installs for all those seeking stairlifts in Hamilton, Lanarkshire . And all work comes with our no-quibble guarantees and famous customer service satisfaction. Just 12 miles south east of Glasgow you’ll find the town of Hamilton. The town didn’t always have this name. Originally it was known as Cadzow meaning beautiful castle. Following the Wars of Scottish Independence in the 14th century, Robert the Bruce handed the town over to Walter Fitz Gilbert, head of the Hamilton Family. Since then it has been known as Hamilton. The family had close connections to the Royal House of Stewart too. In the 15th century James, the 1st Lord Hamilton was married to Princess Mary the daughter of James II of Scotland. Next in line to the Scottish throne was their son, the Earl of Arran. In fact the Isle of Arran became the eventual home of the Hamilton’s although the ‘seat’ of the Hamiltons was Hamilton Palace in Hamilton. In 1921 there was considerable subsidence at the house due to the family’s mining activities nearby; sadly the house was demolished. It had been one of the largest houses in Scotland. The family head, the 3rd Duke of Hamilton moved to Dungavel House near Strathaven. Dungavel was later sold and the family moved to and still live in Lennoxlove House in East Lothian. Many of the town of Hamilton’s retired population probably feel like moving. Moving to a home on one level if they are shaky on the stairs. But there is no need as Castle Comfort Stair Lifts can kit you out with a stairlift so that your entire home is accessible again. Almost 250 retired people in Hamilton already own a stairlift and if you feel one could help you, then please get in touch with us. We can supply and fit stairlifts by all the UK’s manufacturers even our own brand. We have them to fit straight staircases or curved ones; we can install a platform stairlift if you have difficulty actually sitting down. We really try to match the stairlift to every person’s needs. Take a look at our website to see just how many people in the UK are having stairlifts installed every minute. Then give us a call on 0141 278 3929 and we’ll see what we can do for you. The space where Hamilton Palace once stood is now Hamilton Palace Sports Grounds. Most of the grounds are now the Strathclyde Country Park, a popular park with locals and visitors. Cadzow Castle no longer exists either. What you will find in the grounds is Hamilton Mausoleum. The inside of this monument is very ornate and you can still see the original outer brass doors – now on the inside. The original glass oculus was replaced by a Perspex one in the 1970’s; it was lowered into place by helicopter. 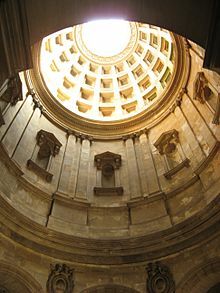 The oculus meaning eye in Latin is also known as the rain hole. It is a common feature of classical architecture. The Mausoleum has whispering walls. You can stand opposite one another facing the circular walls and your whispered comments can be heard by the person opposite. It has the longest echo – about 15 seconds – of any European building too. One of Hamilton’s oldest buildings can also be found in the park. Back in the 16th century this museum was the old coaching inn where travellers going to Edinburgh or Glasgow stopped off. Now it houses exhibits that show the history of Hamilton Palace and artefacts that once belonged to the Cameronian Scottish Rifles Regiment. Built by William Adam in 1734, it is the only church he designed. Its Georgian architecture replaced a 15th century building. Adam’s design was mainly circular. This impressive building in Hamilton which houses the library, some council offices and a concert hall was originally built in three stages. It was closed for a huge refurbishment in 2002 reopening 2 years later. It is an A listed building. Hamilton’s football club started out as the local school club back in the 1870s and is the only professional team in the UK to originate from a school team. It is one of Scotland’s oldest clubs and is fondly referred to as ‘The Accies’ by fans and locals. With Hamilton home to the oldest club it’s not surprising that it is also ‘home’ or at least birthplace to many professional footballers. The first to get a mention is Jim Bett, a retired Scotland player, who comes from the town. Hamilton also has some other known celebrities who aren’t footballers! Is you’re only claim to fame that you are stuck downstairs – or upstairs? Still pondering whether or not a stairlift will help? We know it will. Castle Comfort Stairlifts have 15 years experience and know from personal experience just how much difference a stairlift can make – though we can’t claim to make you famous! If you want to regain your independence and travel up and down those stairs safely with ease, then this has to be the way. 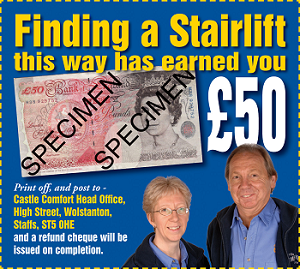 Check out our stairlift prices and don’t forget we also have reconditioned ones. If the outlay is scaring you, why not consider the possibility of a grant or 0% finance? Just don’t let this cause you to delay making your life more comfortable. Give our local office a call for more advice 0141 278 3929 .